Using heat to transfer ink to the material is what the sublimation printer does. If you wanted to establish a business that specialises in personalised items, buying a sublimation printer would be a great investment. 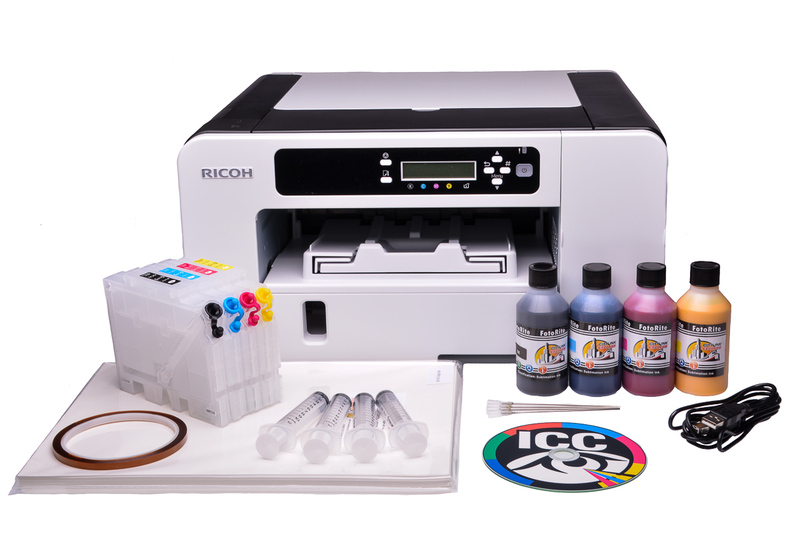 Starting a business that uses the sublimation printer requires materials such as ink, mugs, and shirts, among others. You can order these items online and there are many suppliers who will be more than willing to establish a partnership with business people who are still new to the industry. You can find what you would need online at a company such as Coastal Business Supplies. They have been providing materials to various businesses for years. You should also read information about sublimation printers, how to use them, and understand the science that works behind the process. Sublimation printers work perfectly on plastic, paper, and fabric. The heat applied to the dye will make it stick to the material, and the printed material would never go-off even if friction is applied. The term sublimation refers to the procedure of transformation from solid phase to gas phase, and the printing procedure was named as such because people back then thought that the dye used in printing would never transform into liquid. Further developments with the technology revealed that this belief is false, but the name has stuck. However, if someone wanted to be technically correct, the right term to use describing the process would be dye-diffusion. The colours used on these printers also vary. On sublimation printers, the most commonly used colours are cyan, magenta, yellow, and overcoating, abbreviated as CMYO. Others are using the standard CMYK while replacing the black ink with a clear overcoating. The overcoating is used to render the printed image water-resistant, and it also makes it durable and less susceptible to damage incurred from the heat of the sun and the particles in the air. Using the printer would also require technical skills to learn which type of ink would be suitable for a certain material. For example, printing on ID cards that displays barcodes would require a black ink to be used. There is a separate ink that will be installed on the printer to make it possible. Sublimation printing was used only in limited areas before the development of the technology that speeds up the process. In the past, only the medical, security, and broadcasting fields are using the technology. However, it started to become widespread as the printer’s prices decreased. Many businesses taking advantage of the technology also sprouted across the country, and the process was later used in photography which makes it possible to print multiple photos in a short period of time. This procedure made it possible for photo booth businesses to thrive. The prices of sublimation printers continue to drop, and today, one could purchase a sublimation printer for as low as $100. The most common business involving the use of sublimation printers would be a t-shirt printing enterprise. Many entrepreneurs who wanted to earn a lot of profit invest in sublimation printers. They use their knowledge in using graphics editing software programs and creating the design which will be printed onto a piece of fabric. The end result would be a cool shirt exhibiting designs with complex structure. These shirts are being sold online and in physical shops, and the price depends on the skills of the graphic artists who made the design, and the craftsmanship exerted to create the finished product. Sublimation printing is also used in creating beautifully designed mugs. The first step in printing on a mug would be creating a design or a pattern on the computer, and then printing it into the surface of the mug using the sublimation printer. Printed mugs can be sold for as much as $2 to $5 a piece, and it is one of the easiest ways on how to earn a huge profit. Once you managed to familiarise yourself with the processes involved in sublimation printing, you can proceed to establish a business that uses the procedure. To help the business become successful, look for an appropriate expert who will be helping you out in designing the patterns that will be printed on the materials. Better looking designs would attract a huge number of customers, but make sure that the graphics you will be using would never be involved in copyright claims or other legal problems.